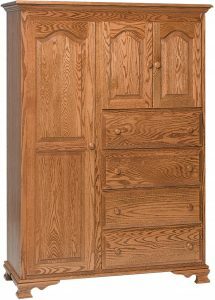 Chifferobes from Brandenberry Amish Furniture represent the artful blend of drawer and cupboard storage space. 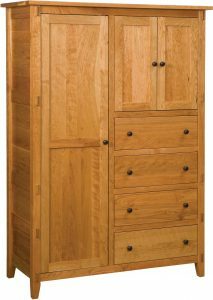 So check out the great selection of Amish-made, solid hardwood chifferobes. 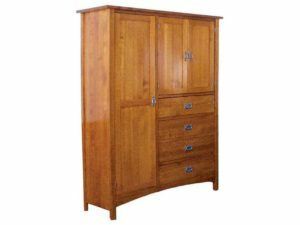 Because our builders designed them for superior storage, functionality, value and long life. 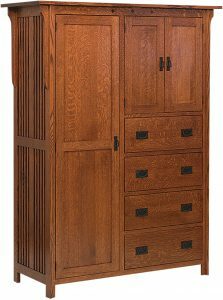 The Mission Collection Chifferobe features solid construction and plenty of storage space. 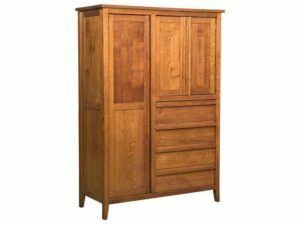 The Schwartz Mission Chifferobe is an a beautiful, all purpose piece of furniture to add to your bedroom. 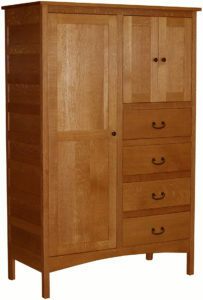 It features 4 Drawers as well as shelf and hanging storage space. 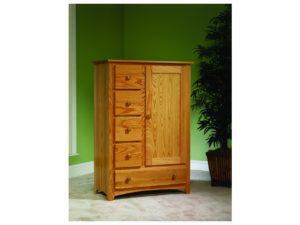 Request Your Quote Our furniture specialists are available for any questions. Request your custom quote today! A few minutes looking over our selection of chifferobes is all it takes to decide on which one is right for you. So will it be Arts and Crafts or Shaker? Or traditional or modern? Whichever piece you choose, you’re assured unsurpassed quality and value. 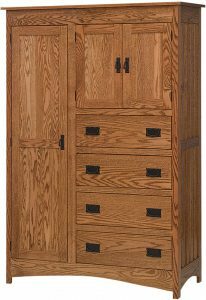 Because Amish artisans custom-craft each piece. And they use solid hardwoods. Plus 21st Century technologies and skills handed down from their ancestors. How else would you explain such impeccable fit and finish? You can order your favorite unit as shown or unfinished. Or you can ask us to customize it for you. 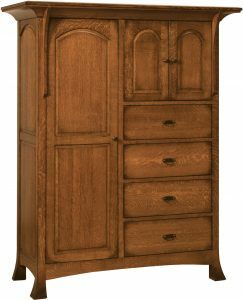 So whether you’re new to the world of solid wood furniture or a veteran furniture-lover, we invite you to check out the chifferobe collection from Brandenberry.